Even though Spring's first day is tomorrow, it's evident that winter is not quite over. There a few more opportunities for snow to fall and ice to form over Boston. And while renters might assume that their landlord is responsible for shoveling snow and other winter weather maintenance, that's not necessarily true. As a renter, the responsibility for snow removal varies depending on your location and the agreement you've entered into with the landlord. To get down to the bottom of the issue, we recommend looking in three places: Your lease, state laws, and local ordinances. Like many questions involving landlord and renter rights and responsibilities, your lease is a good starting point to find out more information. Usually, if you live in an apartment complex with common areas and parking spots, your landlord will be responsible for keeping those areas clear; but it won't always be explicitly written in the lease. If you're renting a single-family home where you have sole control over the walkways and driveways, you may find that you're responsible for shoveling snow and clearing walkways of ice, in addition to cutting the grass and other seasonal maintenance. If your lease has no mentions of snow removal, your next step is to find out what your state law says. State laws vary, and responsibility for the task may differ depending on the apartment you're renting and the terms of your lease. This is important if your lease does not explicitly mention snow removal, but it's also important even if your lease does cover the topic. Some landlords, particularly smaller ones, use stock leases without being fully aware of the relevant state laws or statutes. If your landlord has an obligation based on state laws, the language in your lease may not change or override that. To prevent confusion, a blanket law over Massachusetts protects renters and landlords from going into legal battle over who shovels what. Particularly, Bostonian landlords are tasked by the city to sweep and shovel snow that's in the "immediate proximity" of their property. This doesn't necessarily mean that renters don't have a responsibility to keep those alleyways clear; rather they are protected from being liable if something untoward happens to individuals utilizing your leasable space. If you're the victim however, your landlord is answerable to you and is bound by your lease to address the situation. For Boston, Worcester, and Lynn: sidewalks in front of businesses or residences must be shoveled and safe to walk on. If you're a property owner in Worcester, you must remove snow and ice from sidewalks 10 hours after it stops snowing. The fine for failing to comply with this city ordinance is $75.00 per day. Throwing snow into Boston city streets, whether public and especially private, is prohibited. 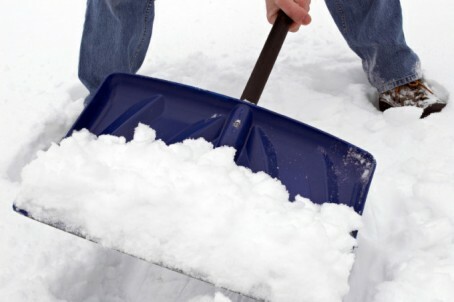 In Salem shoveling snow back into the street will cost you $75.00 the first time you do it, $150.00 the second time, and $200.00 for the third and each time after that. (And in Lynn you'll get fined $100.00). By checking your lease, state laws and local ordinances, you should be able to get concrete answers to your question who is responsible for shoveling snow during the winter season - which sadly for us, Bostonians, is still staying put.